Utica Park Clinic (UPC) social workers would be glad to privately help you in with any psychological, social or financial challenges you may be facing. Click here for more information. 2-1-1 Oklahoma offers information and referrals for a variety of needs including rental assistance, food, housing, health resources, child care, after-school programs, caregiver support, financial programs, literacy, job programs and much more. Click here for more information. 1. HELPFUL ARTICLES covering topics such as care giving tips, legal matters, Medicare information and useful checklists. 2. 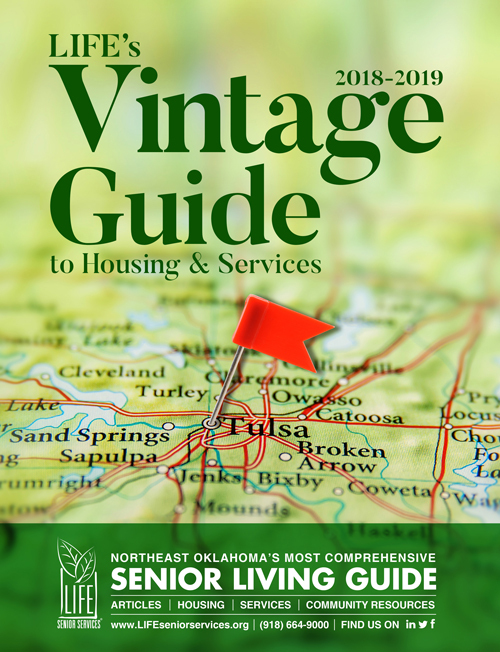 SENIOR HOUSING OPTIONS presented in a directory of over 250 choices from independent living to nursing facilities. 3. SPECIAL SERVICES including adult day health services, home health, hospice, funeral & cremation services and more. 4. COMMUNITY SERVICES containing information on over 700 community-based resources. 5. QUICK REFERENCE to get phone numbers of the all resources in the previous section. Read the Online Edition right here.